It is evident that everyday life has changed significantly over the past few decades. Twenty years ago, most people could not have imagined we would be carrying around palm-sized devices capable of streaming movies, playing the world’s catalog of music and serving up thousands of games—all in addition to allowing instant communication with anyone, anywhere. No one would have believed our watches could answer phone calls, monitor our heart rates and track how many calories we have expended or hours we have slept. Televisions were 50-pound pieces of furniture and cars ran only on gas. Technology has changed our daily world—and the joint use world as well. These advancements have brought about alterations in our lives, necessitating new rules of etiquette (put your phone away during dinner), legislation (Net Neutrality, cyber-security) and behavior (laws that prohibit texting while driving). However, the governing documents of joint use, the contracts that define the relationships between pole owners and attachers that share equipment on those field assets, have been slow to change, with many having been written or last revised decades ago. This is a dangerous situation for infrastructure asset management. The reasons to review joint use contracts are compelling and many. Contracts may be little more than informal, handshake agreements. They may be outdated and costing your company money. Or they may simply need a closer look—one from the 21st century. The introduction of new technology alone is a driving force for businesses to review joint use contracts, for two big reasons. 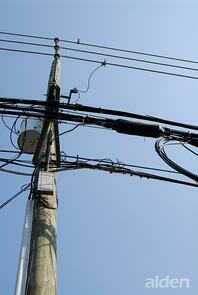 Decades ago, utility poles held just a few pieces of equipment—mostly power and telephone company equipment. By the mid-1990s, new technologies had begun to infiltrate our office buildings and homes. From wireless to DAS and CATV to smart switches that mitigate outages, the space above our heads has gotten rather crowded. The land grab is not likely to stop. As the world dreams up new, wide-usage technologies, that equipment is likely to be vying for space on existing poles in the future. There was a time when cable and internet providers in the U.S. could be counted on one hand. Today, Wikipedia lists more than 45 broadband providers across the country—and that is likely a low-ball number. This increase in attaching companies means both competition for space and competition for joint use staff attention when it comes to writing and maintaining up-to-date contract agreements. With increased volume comes increased liability and an increased need to ensure all contracts are accurate and working in the best interest of all parties. The bottom line is, no room on the pole means no room for ambiguity in your contracts. When the number of parties and pieces of equipment involved increases, so does the potential for problems, disputes and complications. Tight, updated contracts make expectations and responsibilities clear, leave no room for question, and close potentially costly loopholes. So, today is your day to take advantage of all that technology mentioned above, and review your joint use contracts (or reach out to a third party like Alden who specializes in contract review). Protecting your company, your plant assets, and your customers should be priority one when it comes to infrastructure asset management. Are your contracts in need of a good once-over? Download our 5 Reasons to Review your Joint Use Contracts Now to find out.